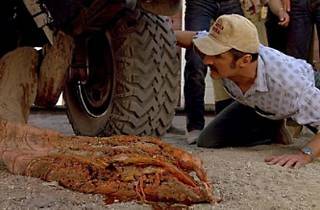 Photograph: Courtesy American Cinematheque Tremors. 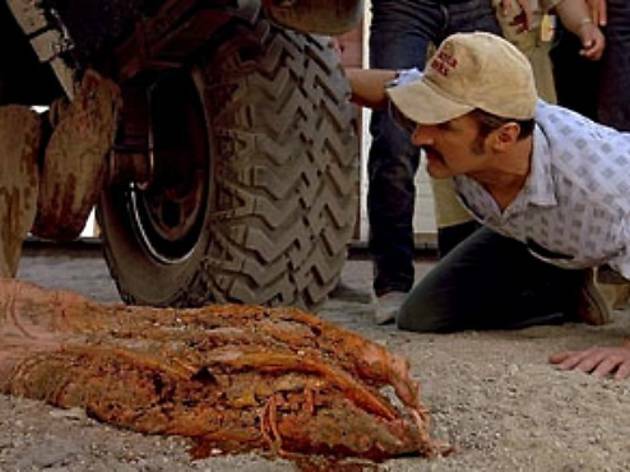 Carnivorous underground worms come after Kevin Bacon, Fred Ward, Reba McEntire and the father from Family Ties and cause—you guessed it—tremors, in this innovative homage to 1950s creature b-movies. The 1990 film—the more-respected precursor to the three sequels and subsequent Tremors tv show—manages to be both scary and hilarious. See the worms shake things up at the Aero. Actor Michael Gross will be on hand to discuss the movie afterward.